This is our favourite lunch recipe.. so cool and nice specially in summer. Have it just with pickle or you can make some poriyal to go with it. 1. Wash and soak the rice for 1-2 hours. 2. Cook to a soft consistency. Let it cool. 3. 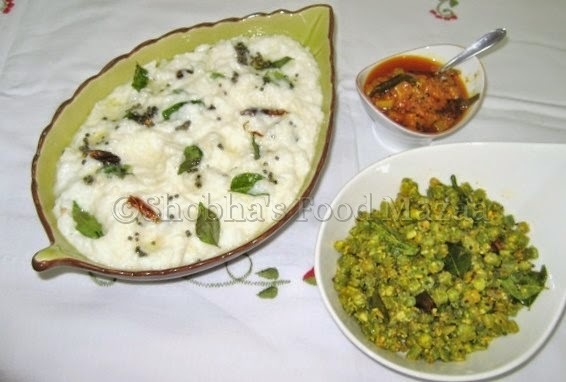 Mix the curd, salt, sugar, chopped coriander leaves and grated ginger. 4. Heat the oil in a pan and add the mustard seeds, asafoetida, red chillies and curry leaves. 5. Mix the tempering to the curd rice. (Serve with pickle. Beans poriyal also goes well as a side dish with this. 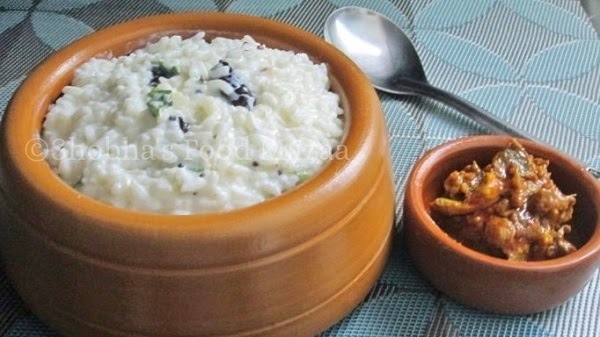 I love curd rice and this looks really yummy. Me too.... most of the time I end up eating curd rice for lunch. An all time favorite of mine in the scorching summers. Thanks for reminding and linking. Oh a perfect meal!!! Love the plate in which curd rice is kept!! Thanks for linking it to my event!!!! 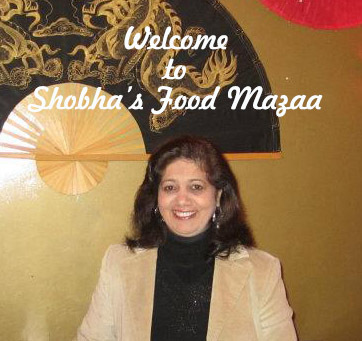 Looking forward for more yummy recipes!! !